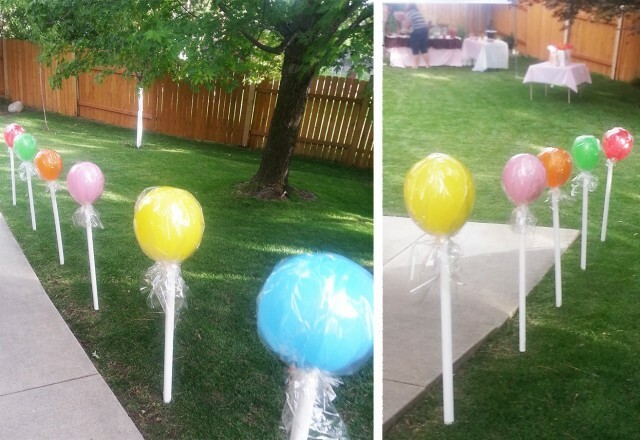 When our brother got married last summer, we knew a Candyland themed bridal shower was a must for our soon to be sister-in-law since her new last name would be Candland. 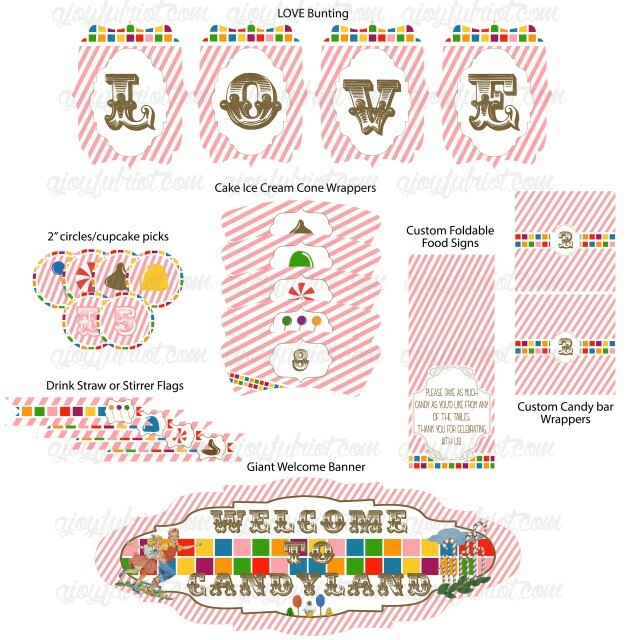 The invitation and party graphics were inspired by a vintage Candyland game board, using actual graphics from the board, little colorful squares inspired by the winding path of the game and the brown, pink and cream colors of the neapolitan ice cream floats seen on the older games. 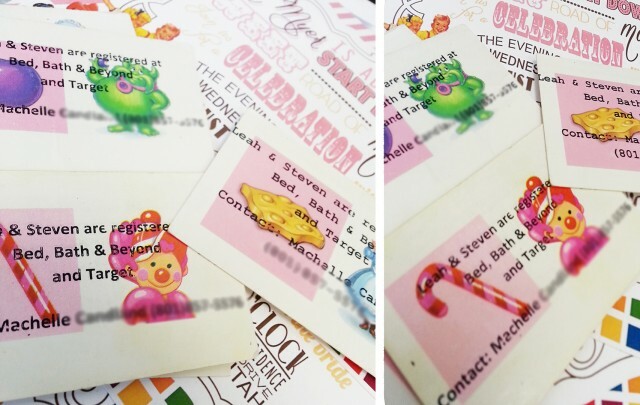 We printed some additional info onto actual playing cards from a Candyland game and put one in every envelope with the invitation. 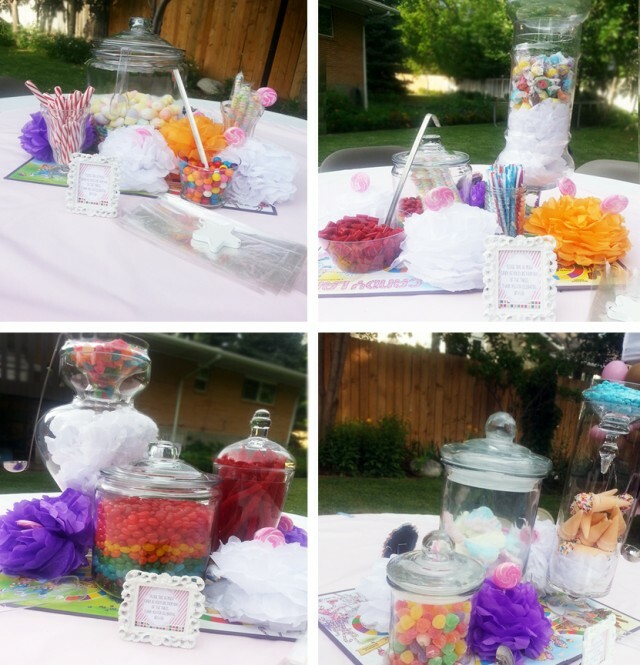 We filled the party with lots of color. 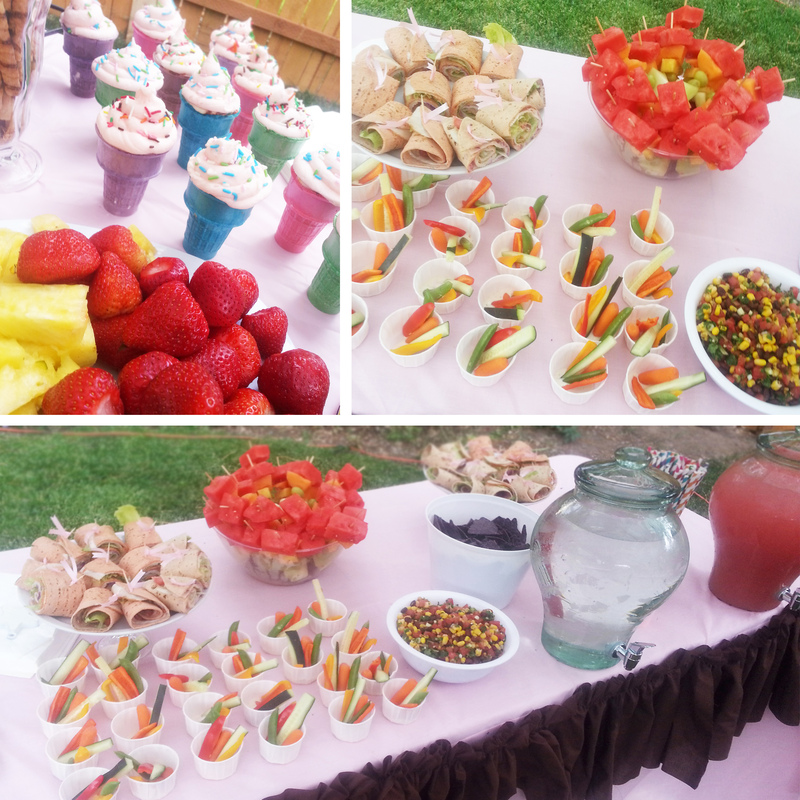 All the food was as colorful as we could make it! A simple DIY of painting empty wrapping paper tubes white, attaching a long strip of ribbon to a blown up balloon, threading that through the tube and surrounding the balloon with clear cellophane. We hammered short wooden stakes into the ground and put the tubes over them, it held them up great! 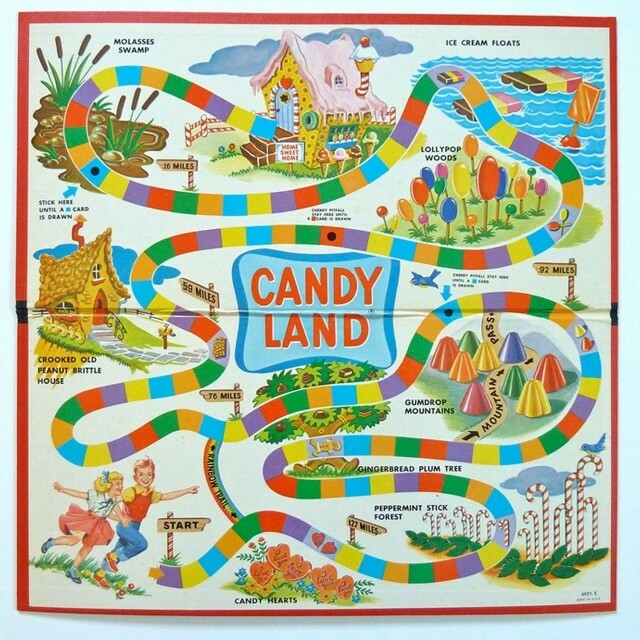 Finally, every table had a portion of the candy buffet spread amongst apothecary jars and set atop a Candyland game board. Guests were advised to visit any of the tables and take as much as they wanted! 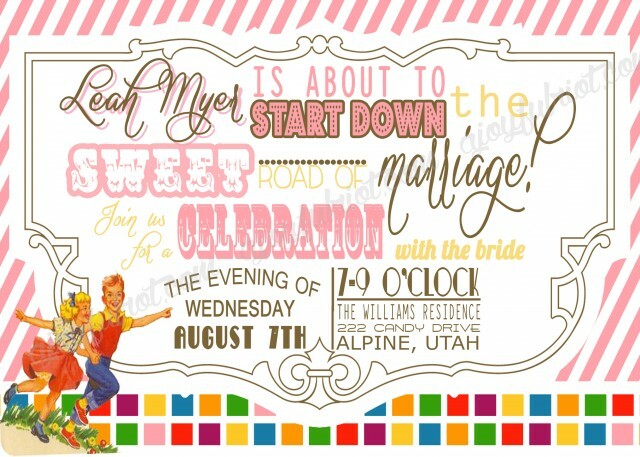 The invitation is for sale in our Etsy shop here and the other graphics, plus tons more are available for purchase here!